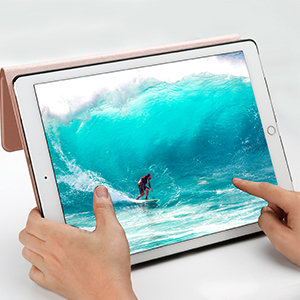 F16S+ pu leather case offers durability, strength and protection for your iPad pro 12.9 to keep scratches, dings and splashes away. 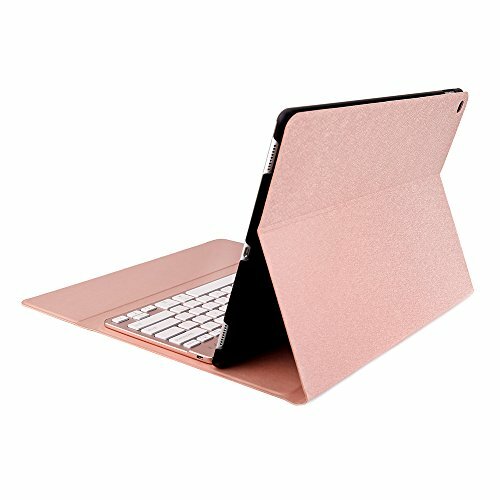 The case folds into a portfolio-like case, excellent for work, travel and on-the-go protection. 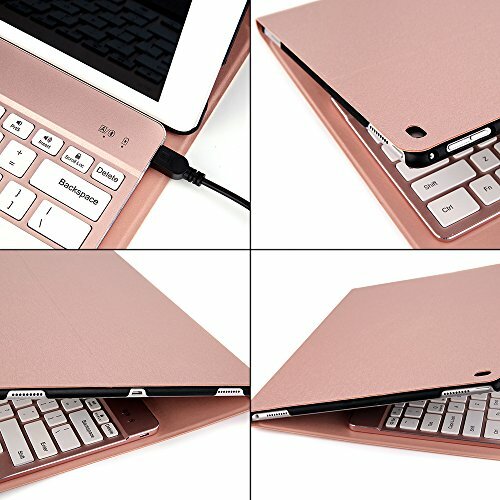 The auto-sleep smart function allows you to preserve power on your iPad whenever you close the keyboard case. 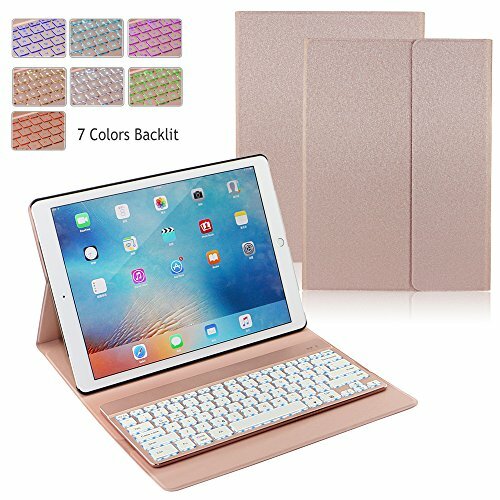 This added convenience allows you to pack up and go without having to worry to turn off your iPad and drain your battery life. 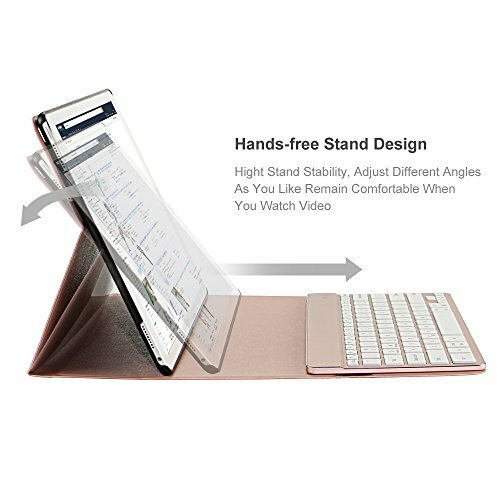 The case itself can be tilted to your preferred viewing position and acts as a stand for your iPad. It's also very easy to use right out of the package. 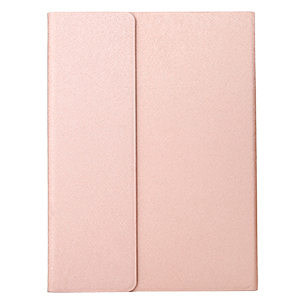 Simply slide your iPad right into the case and close the velcro strap to prevent the iPad from slipping out. 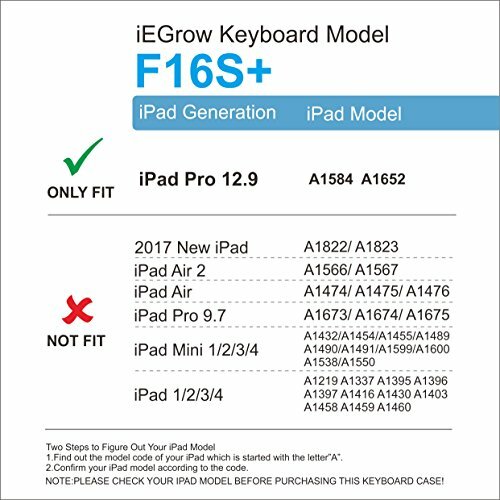 Easily setup your iPad for the first time, afterwards pairing is automatic once the keyboard is turned on. 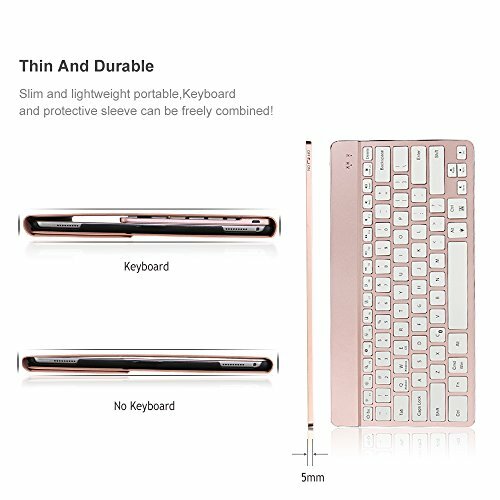 Use Fn+C to open the The Bluetooth function also allows you to connect with other Bluetooth enabled devices such as your iPhone, smartphone or tablet device. 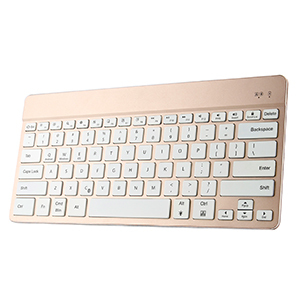 Provides a smooth, natural typing experience like using a normal keyboard, much higher quality than cheap silicone keys. 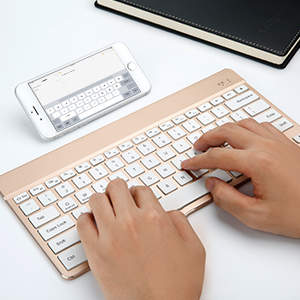 Because the keys are like a normal keyboard, you will have a much faster response time vs. silicone keys. Backlighting design, 7 colors light(red/white/yellow/green/cyan/blue/purple), can provide different brightness control, different visual enjoyment for you.